As 2017 comes to an end, it’s time for our annual look at the top ten defining moments from Universal Studios Hollywood as chosen by our editorial team. 2017 featured quite a few changes around the theme park and CityWalk Hollywood, so let’s take a look at what made this year interesting and exciting. Starting off our list this year is Jimmy Buffett’s Margaritaville. 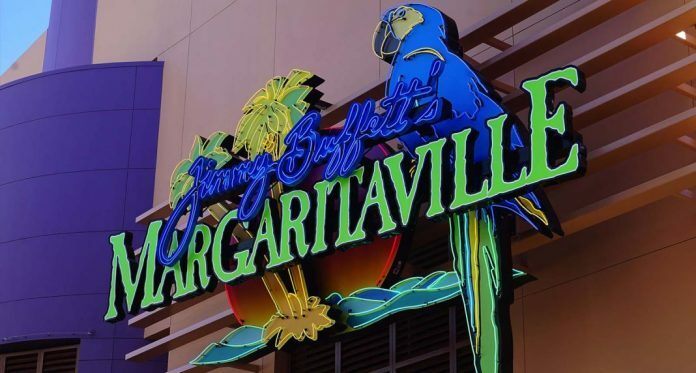 Parrotheads rejoiced as the restaurant opened in March of 2017 featuring the man himself Jimmy Buffett performing in front of media and fans. The restaurant, which has been a staple at Universal Orlando for years, has finally come to the West Coast. Coming in at number nine is the addition of DreamWorks characters into the park. While Hollywood has had the Shrek characters in the park for years – and a couple of the Madagascar characters, 2017 brought Kung Fu Panda, Trolls and even more characters from Shrek and Madagascar to the park. 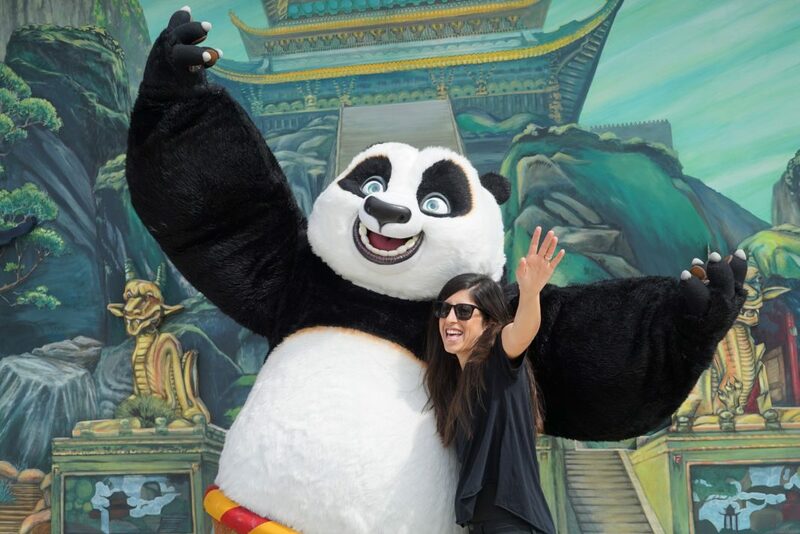 With the additions of Po, Tigress, Branch, Poppy, Puss in Boots and King Julian, Universal’s offering of animated character meet and greets has never been in more demand. This allowed Universal to feature these characters during both the Lunar New Year celebration and during the summertime for the DreamWorks Party. 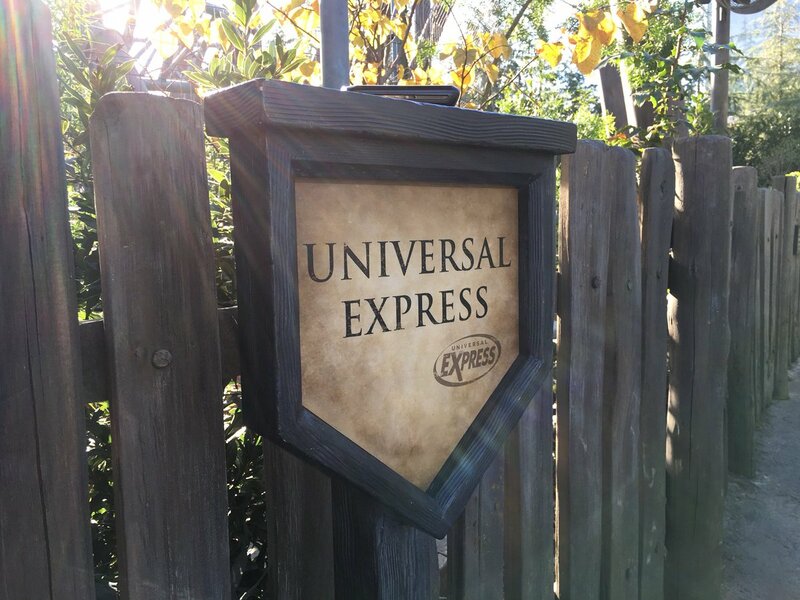 For years, Hollywood was the stand-alone park in the Universal family to not have the Universal Express ticket. On December 5, Hollywood dropped the Front of Line name and joined the rest of the Universal Parks and Resorts with using the Express moniker. The change was more of a re-branding to match the rest of the Universal Parks, as none of the front of the line offerings changed. The original set of StarWay escalators first opened in 1991. 26 years later, the StarWay received its first expansion by adding a fourth set of escalators to each bank. This is in anticipation of the theme park growing in the Lower Lot and allowing for a better flow the expected crowds. Perhaps the biggest surprise this year was Voodoo Doughnut. 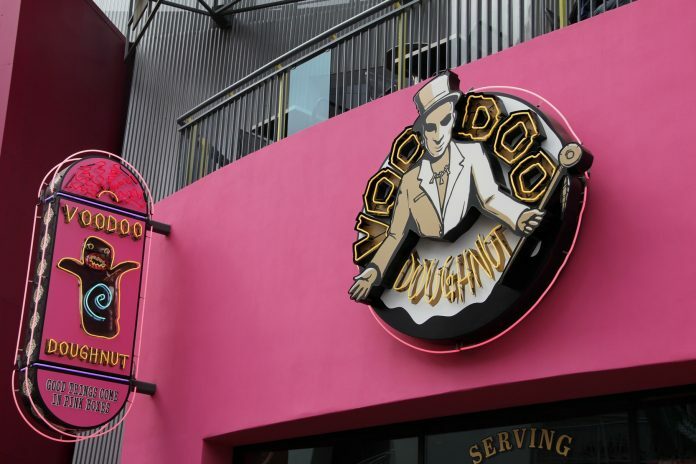 The Oregon-based doughnut company made its way to CityWalk Hollywood for its first store in California. While the doughnut shop has a decent following, no one truly expected the long lines that appeared. Voodoo Doughnut became a smash-hit in CityWalk Hollywood due to Kenneth “Cat Daddy” Pogson and Tres Shannon unique vision of doughnuts. 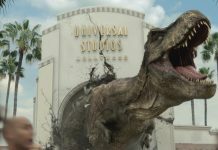 Beginning this year, Hollywood will be holding its first EVE party following in the footsteps of Universal Orlando who has been holding their own EVE New Year’s party for years. While this is not this first time Hollywood has had New Year’s Eve fireworks inside the park, it will mark the first time they’ve opened the whole theme park and be operational. The last time the park celebrated the New Year was in 2014, when Universal Studios Hollywood had three firework zones, WaterWorld, Universal Plaza and Simpsons Plaza. 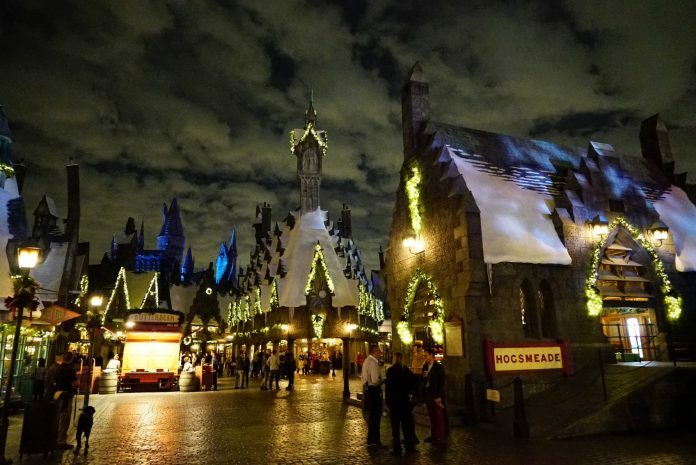 Universal Studios Hollywood debuted their newest holiday offering this year with Christmas in the Wizarding World of Harry Potter. The entire land of Hogsmeade has been transformed into a beautiful area filled with holiday décor, festive foods and all-new entertainment. The centerpiece though is the new nighttime spectacular, The Magic of Christmas at Hogwarts Castle. The projection show also included some low-level fireworks, which marked the first time since 1994s Spectrablast that Universal included fireworks into a nighttime show. 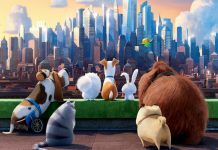 In 2016, NBCUniversal announced their new five-year plan to redevelop their movie studio production facilities. 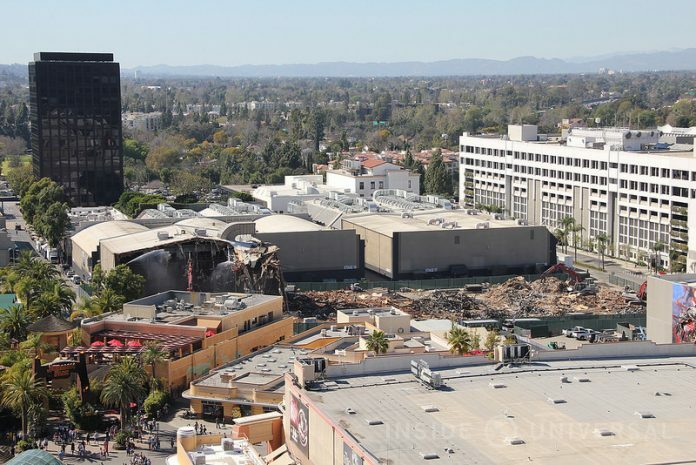 In doing so, this allowed them to demolish stages 22-25 for future theme park development. In March, Universal demolished these stages, which had been home to CSI: Crime Scene Investigation for many years before its cancellation. As of now, the empty plots are being used as a parking lot for the studio; however, at some point here this will become the home to future attractions and part of the reason why the StarWay received its expansion. 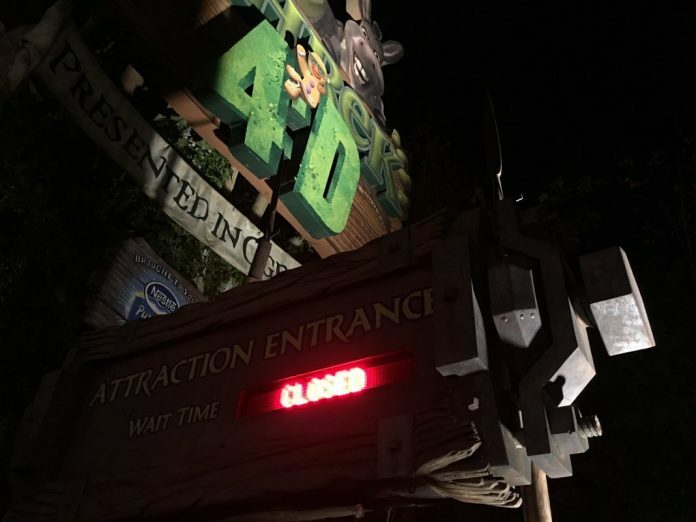 On August 13, the fourteen year-old attraction closed its doors for the future DreamWorks Theater featuring Kung Fu Panda attraction. 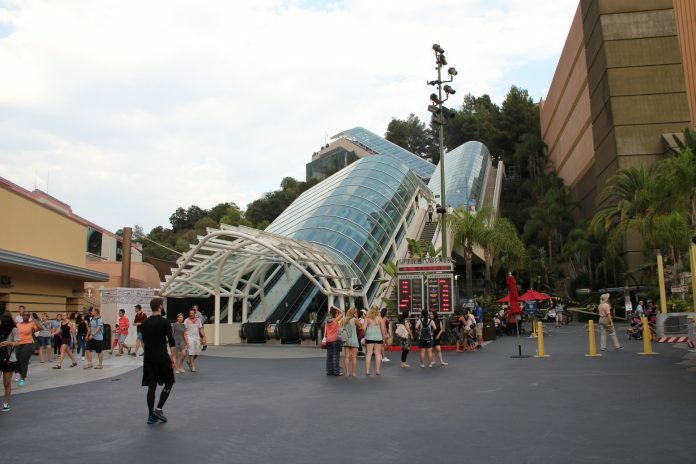 The theater itself is undergoing its largest and most extensive refurbishment since 1988 when Universal built the building around the theater for the Star Trek Adventure show. The only thing left after the building was gutted were the exterior walls. 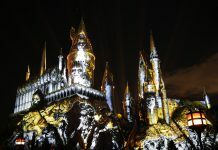 Our number one defining moment for Universal Studios Hollywood was the premiere of The Nighttime Lights at Hogwarts Castle. This was Hollywood’s first nighttime spectacular since 1994s Spectrablast. 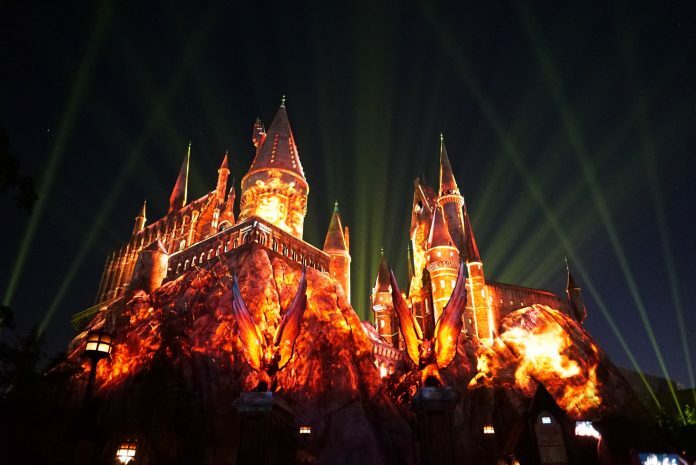 Fans of the theme park had longed for a nighttime show; and with the Wizarding World of Harry Potter, Universal found a perfect match to showcase their newest show. 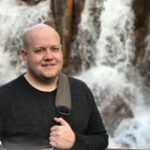 And there’s our top ten defining moments from Universal Studios Hollywood in 2017. We want to thank you for following along throughout the year and we look forward to what 2018 has in store!